Robyn Wilson graduated from York House in 2005 and did her undergraduate degree at Bishop’s University in Lennoxville, Quebec. While there, she played basketball on athletic and academic scholarship. She graduated with an honours degree in International Political Economy, with minors in Psychology and Public Administration. Robyn is currently the Chief Operations Officer of Venue Kings Ticket Brokers, Inc. in Vancouver. When she started with the company, they were a three-person operation. Venue Kings has now grown to 26 team members that was just rated one of the fastest growing companies in BC and Canada. Robyn’s day-to-day duties include everything that keeps the company running, but is not limited to marketing, human resources, business development, financial analysis, web development, and customer relations, etc. 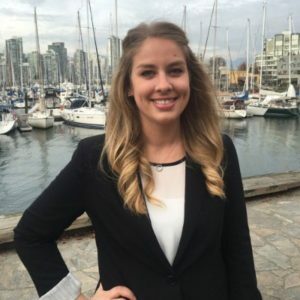 She is also currently in the second year of her MBA at the Sauder School of Business at UBC and was recently named one of BC Business Magazine’s Top 30 under 30.